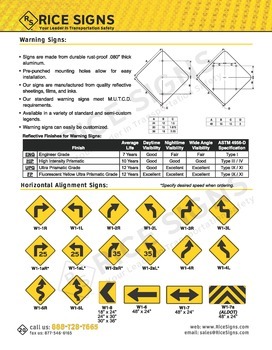 Warning traffic signs are usually yellow with black print and diamond shaped. 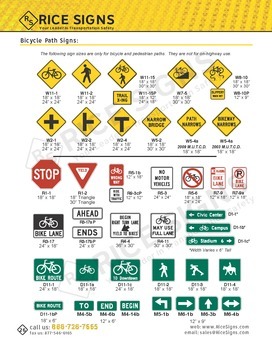 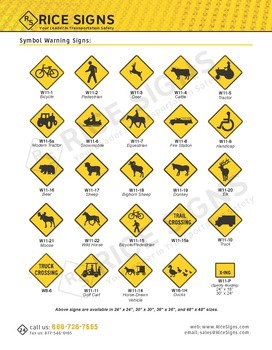 Warning signs, such as Bump Signs, Stop Ahead Signs, Curve and Turn Signs, and Deer Crossing Signs, are used to inform motorists and bicyclists of upcoming hazards in the roadway. 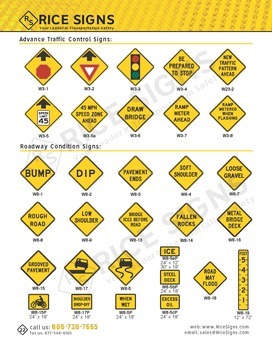 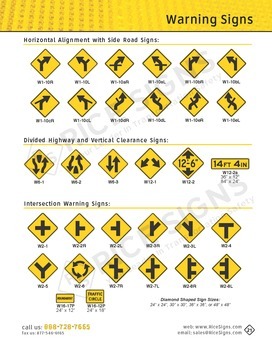 These warning traffic signs are generally found in advance of the roadway condition they are alerting the motorists of. 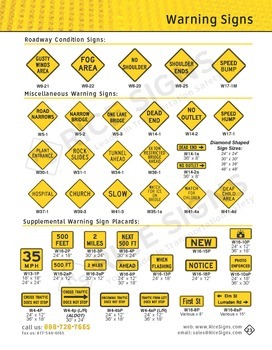 We have a large inventory of M.U.T.C.D. 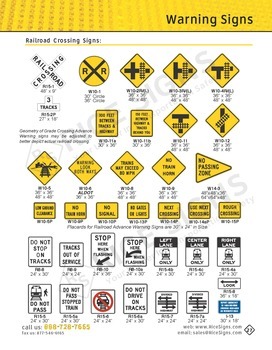 compliant warning signs for fast shipment. 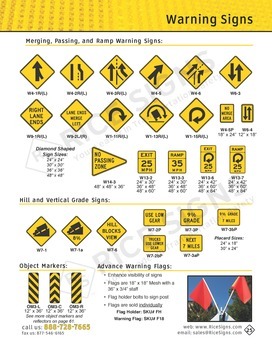 We also make custom warning signs.